LERMAN, LEO. 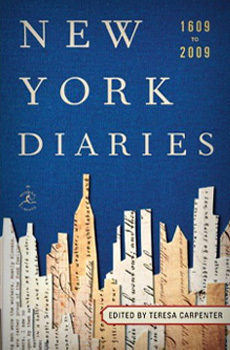 [1945–1983] Condé Nast editor and esthete who kept a copious diary of the doings of café society. Particularly fascinating are his portraits and reminiscences of grandes dames Marlene Dietrich, Lynn Fontanne, and Cathleen Nesbitt, among others. Published as The Grand Surprise: The Journals of Leo Lerman, edited by Stephen Pascal, copyright © by Stephen Pascal. Used by permission of Alfred A. Knopf, a division of Random House, Inc Lerman’s papers are on fi le at Columbia University’s Rare Book and Manuscript Library.